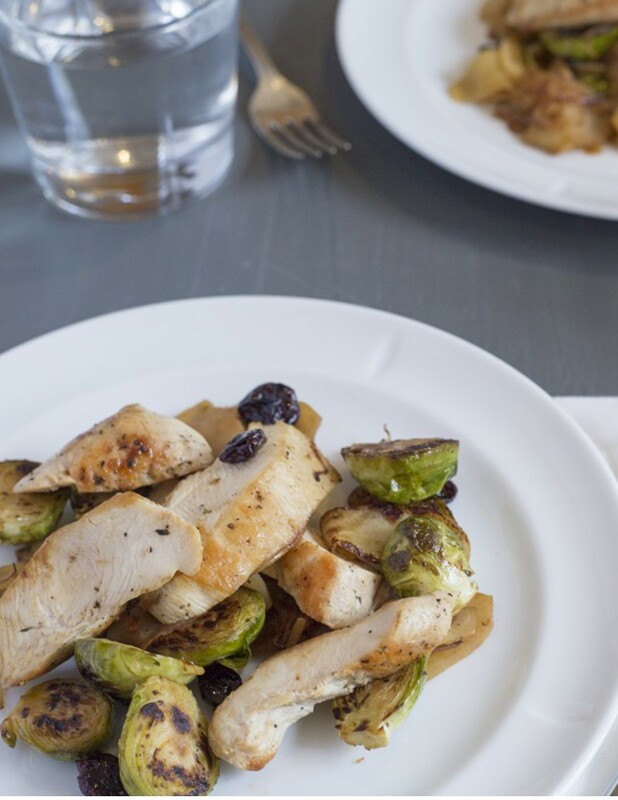 Brussels sprouts and apples are one of my favorite combinations, throw in some dried, tart cherries for texture and you’ve got a fun chicken dish. 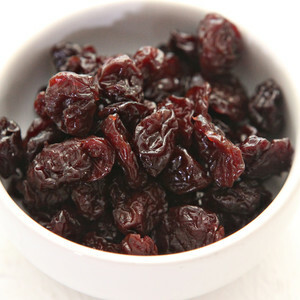 This SuperFood dish is rich in anthocyanins (tart cherries), fiber and Vitamin C.
Season chicken on both sides with a total 1/4 teaspoon salt and 1/4 teaspoon pepper. Set aside at room temperature. 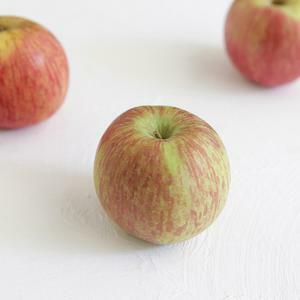 Prepare your mise en place: Halve apple, remove core and thinly slice crosswise. Trim Brussels sprouts and halve through the stem end. 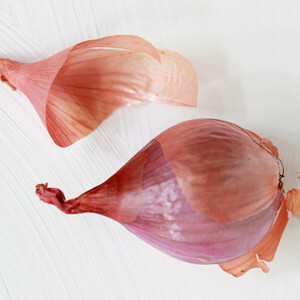 Peel, halve and thinly slice shallot. 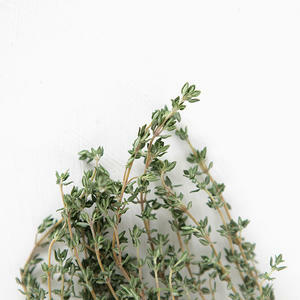 Pick and chop thyme leaves. 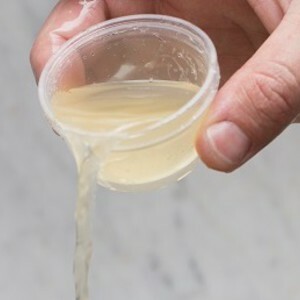 Place apple slices in a glass or ceramic bowl and cover with water and 1 teaspoon cider vinegar (this will help keep the apples from browning). Place a large skillet (preferably cast iron or nonstick) over high heat and add 2 teaspoons olive oil. When oil begins to shimmer, carefully place chicken breasts in pan. Allow the chicken to cook 3-4 minutes undisturbed, or until golden brown and crispy. Flip and cook 2-3 minutes on the other side. Add Brussels sprouts to pan cut side down. Cook with chicken 2-3 minutes more, or chicken is firm to the touch and opaque all the way through. Transfer chicken to a plate and cover with aluminum foil. 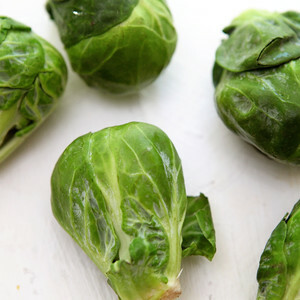 Reduce heat to medium and stir Brussels sprouts. 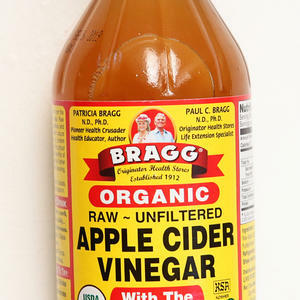 Drain most of the liquid off the apples and discard. Add shallot and apple to pan, and cook 4 minutes, stirring intermittently. Carefully add wine, cherries and remaining 2 teaspoons vinegar. Use a wooden spoon scrape the bottom of the pan to loosen any browned bits (fond). 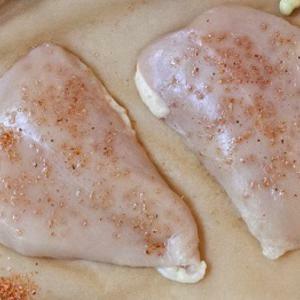 While apple mixture cooks, cut chicken breasts into slices across the grain, reserving the resting and carving juices. Add chicken and juices to pan with thyme and remaining 2 teaspoons olive oil. Cook 1-2 minutes, or until chicken is warmed through. 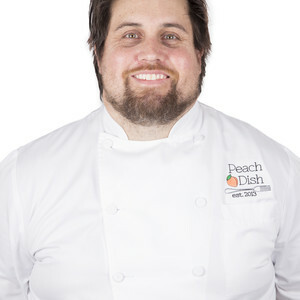 Season to taste with kosher salt and pepper. Divide chicken, vegetables and sauce between 2 plates. Enjoy!